Mr. Londoner founded BioSig Technologies, Inc. in February 2009. Mr. Londoner is the Managing Partner of Endicott Management Partners, LLC, a firm dedicated to assisting emerging growth companies in their corporate development and investing needs since 2004. From April 2007 to October 2009, Mr. Londoner was the executive vice president of NewCardio, Inc., a silicon valley based cardiac software company. Mr. Londoner also served as a Director and the architect for the turnaround at Alliqua BioMedical, Inc. (Nasdaq: ALQA) from May 2012 to March 2014. Mr. Londoner is a co-founder of Safe Ports Holdings, LLC, in Charleston, South Carolina, a port security and logistics company. Started in July 2005, the company built and sold an inland port development project to Dubai Ports World. The sale, in the fall of 2007, was for almost six times what investors had invested. Mr. Londoner is a member of Safe Ports Board of Directors. Mr. Londoner was the founder and managing partner of Red Coat Capital Management in New York. Founded in late 1996, the hedge fund (long/short equity strategy) grew from its initial base of $ 2 million in assets to a peak of $ 1.1 billion. Mr. Londoner started his investment career at J. & W. Seligman & Co., Inc., a leading institutional money management firm where he rose from research analyst to managing $3.5 billion in mutual funds, pension funds, and international assets. He joined Seligman in 1991 and left in 1997. Mr. Londoner graduated from Lafayette College in 1989 with a degree in economics and finance and received his MBA from NYU's Stern School of Business in 1994, with a dual major in finance and management. Mr. Londoner just celebrated his 25th wedding anniversary and has four children. Mr. Londoner has been working with Lafayette College to develop and expand a summer internship program designed to provide undergraduate students with high-value summer employment in leading growth industries in the U.S.
Mr. O’Donnell has served as our director since February 2015; he had previously served as a director from October 2011 until February 2014. Mr. O’Donnell has extensive experience in the Healthcare industry, merging a solid, traditional corporate background with emerging growth experience. Jeff brings more than 20 years of Board and Chief Executive experience running emerging medical device firms. Businesses under his direct leadership have achieved over $1.5 Billion in value creation from initial public offering of stock or mergers and acquisitions. Currently, Jeff is the Chief Executive Officer and a Director of Trice Medical. Trice is an emerging growth medical device company developing optical needles used by orthopedic surgeons to diagnose soft tissue damage of joints. In 2008, Jeff started and ran Embrella Cardiovascular, a medical device startup company, which was sold in 2011 to Edwards Lifesciences (NYSE: EW). Prior to Embrella Cardiovascular, Jeff served as President and CEO of PhotoMedex (NASDAQ: PHMD) from 1999 to 2009. Prior to PhotoMedex, Jeff was the President and CEO of Cardiovascular Dynamics. His team took CCVD public on NASDAQ in June of 1996 and purchased Radiance Medical Systems and Endologix (NASDAQ: ELGX). From 1994 to 1995 Jeff held the position of President and CEO of Kensey Nash Corporation (NASDAQ: KNSY). Additionally, he has held several senior sales and marketing management positions at Boston Scientific Corporation, Guidant Corporation and with Johnson & Johnson’s Orthopedic Division. In 2005, Jeff was named LifeSciences CEO of the Year by Price Waterhouse Coopers. In 2011, Jeff was named the Greater Philadelphia Emerging Entrepreneur of the Year by Ernst & Young. In 2017, Jeff assumed the role of Chairman of the Board of Directors for SpectraWave, a cardiology device company. He joined the AdvaMed Accel Board of Directors in 2016 and serves as an observer on the Membership, Ethics, and Technology and Regulatory committees of the AdvaMed Board. Previously, Jeff served as Chairman of the Board of Strata Skin Sciences (NASDAQ: SSKN) (2 years) as well as Director on the Board at Cardiac Science (7 yrs.) and Endologix (12 yrs.). Jeff is a graduate of LaSalle University in Philadelphia.Mr. O’Donnell brings his experience in the healthcare industry and cardiovascular space, along with his experience with emerging growth companies, which will make him a valuable member of our board of directors. Mr. Filler has served as our director since November 2017. Mr. Filler brings to BioSig over 20 years of experience in intellectual property for technology and medical device companies. He currently serves as Partner and General Counsel for Sherpa Technology Group since February 2014. n addition, Mr. Filler had served as General Counsel and Vice President of IP for Nanosys, Inc. since July 2004 and currently consults with the company on business and legal matters. Mr. Filler also served as chief intellectual property counsel at Caliper Technologies from January 2002 until June 2004, senior associate attorney at Weil, Gotshal & Manges from January 2000 until January 2002, and director of intellectual property at Corvascular from 1997 until 2000. We believe that Mr. Filler’s extensive experience as an intellectual property lawyer and managing extensive intellectual property portfolios make him a valuable member of our board. Mr. Weild has served as a director since May 2015. Mr. Weild is founder, chairman, and CEO of Weild & Co., Inc., parent company of the investment banking firm Weild Capital, LLC. Prior to Weild & Co., Mr. Weild was vice chairman of NASDAQ, president of PrudentialFinancial.com and head of corporate finance and equity capital markets at Prudential Securities, Inc. Mr. Weild holds an M.B.A. from the Stern School of Business and a B.A. from Wesleyan University. Mr. Weild is currently on the board of PAVmed. From September 2010 to June 2011, Mr. Weild served on the board of Helium.com, until it was acquired by R.R. Donnelly & Sons Co. Since 2003, Mr. Weild was a director and then chairman of the board of the 9-11 charity Tuesday’s Children. He became chairman emeritus in late 2016 and still serves on the board. Mr. Weild brings extensive financial, economic, stock exchange, capital markets, and small company expertise to the Company gained throughout his career on Wall Street. He is a recognized expert in capital markets and has spoken at the White House, Congress, the SEC, OECD and the G-20 on how market structure can be bettered to improve capital formation and economic growth. Mr. Gallagher has served as our director since July 2014. Mr. Gallagher, MBA, CFA, is an accomplished capital markets executive, advisor, and investor with a distinguished record of success in both the public and private markets. He has over 20 years of experience on Wall Street and extensive expertise in alternative investments, capital markets, and marketing. Since September 2014, Mr. Gallagher has served as Senior Managing Director and head of healthcare sales at Laidlaw & Co. (UK) Ltd. Mr. Gallagher serves as a strategic consultant for Athenex, Inc., a biopharmaceutical firm focused on next-generation therapies in oncology and immunology and was the vice president of business development and investor relations from September 2012 to October 2013. He also sits on the board of directors at Cingulate Therapeutics, a clinical-stage biopharmaceutical company focused on innovative new products for ADHD since July 2013; as well as Evermore Global Advisors, a global money manager since May 2015. In November 2010, he was appointed by broker Concept Capital, a division of Sanders Morris Harris, as a Managing Director and the head of institutional sales. 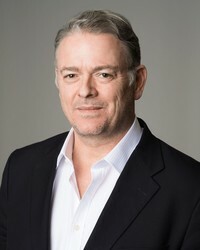 In 2001, Mr. Gallagher co-founded BDR Research Group, LLC, an independent sell-side research firm specializing in healthcare investing, financing and operations, and served as its chief executive officer until November 2010. Prior to 2001, he held various sales positions at investment and research firms Kidder Peabody, PaineWebber and New Vernon Associates. Mr. Gallagher is a CFA charter holder, received his MBA from Pennsylvania State University and holds a B.S. degree in finance from the University of Vermont. We believe that Mr. Gallagher’s experience in capital markets and marketing, with extensive expertise concentrated in the life sciences space, make him a valuable resource on our board. Mr. Foley has served as our director since October 2015. 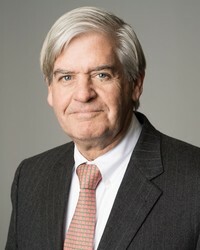 Mr. Foley was chairman of the board and chief executive officer of Wilmington Trust Corporation from 2010-2011. Prior to Wilmington Trust Corporation, Mr. Foley was senior vice president, treasurer, and director of tax for ITT Corporation, a supplier of advanced technology products and services. Mr. Foley currently serves on the board of directors of AXA Equitable EQAT Mutual Funds and is an advisory board member of M&T Corporation Trust and Investment Committee. Mr. Foley also served on the boards of directors of M&T Corporation from 2011-2012 and of Wilmington Trust Company and Wilmington Trust Corporation from 2007-2011. In addition, Mr. Foley serves as chairman of the board of trustees of the Burke Rehabilitation Hospital and Burke Medical Research Institute, as well as the W. Burke Foundation since 2009 during which time the Hospital merged with the MonteFiore Hospital System. Mr. Foley holds an M.B.A. from New York University, and a B.A. from Union College where he had served as a trustee, and as a chairman of the President’s Council. He also served as a trustee of the Covent of the Sacred Heart; and currently serves as a trustee at the Sacred Heart Network of schools and a trustee and head finance chair at New Beginning Family Academy, a charter school in Bridgeport, CT. Mr. Foley brings extensive financial, economic, capital markets and executive leadership expertise to our board gained through his successful career on Wall Street and the Fortune 500. Mr. Tanaka has served as our director since July 2012. 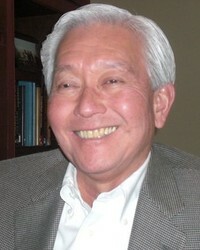 From 2004 until his retirement in September 2008, Mr. Tanaka served as the worldwide president of Biosense Webster, Inc., a Johnson & Johnson company, a market and technology leader in the field of electrophysiology. He joined Biosense Webster, Inc. as its U.S. president in 1997. Previously he held a variety of senior management positions at Sorin Biomedical, Inc., including president and chief executive officer, and leadership roles at CooperVision Surgical and Shiley, a division of Pfizer, Inc. 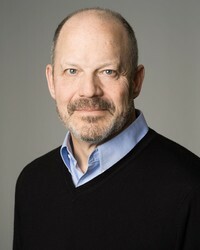 He currently serves on the boards of directors of Epix Therapeutics Inc., a company developing technology to measure the temperature in a lesion during cardiac ablation procedures, and VytronUS Inc., a company developing ultrasound technology in the diagnosis and treatment of complex cardiac arrhythmias. In addition, Mr. Tanaka served as a director of Volcano Corporation until May 2014 and TomoTherapy until its acquisition in June 2011. Mr. Tanaka brings broad experience in executive leadership in the medical device field. His operational expertise and knowledge of the regulatory environment, both in the U.S. and globally, also bring a valuable perspective. Mr. Fischer has served as our director since May 2013. 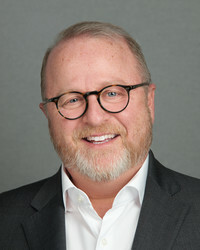 He most recently served as the Chief Executive Officer and as a director of Vivus, Inc., a publicly traded biopharmaceutical company commercializing and developing innovative, next-generation therapies to address unmet needs, with currently marketed products in metabolic disease and sexual health from September 2013 - December 2017. Prior to Vivus, Mr. Fischer served in positions of increasing responsibility with Johnson & Johnson, a public healthcare company, from 1983 until his retirement in 2012. Mr. Fischer served as Company Group Chairman, Johnson & Johnson, and Worldwide Franchise Chairman, Cardiovascular Devices, Cordis Corporation, from 2008 to 2012, which included responsibility for Cordis and Biosense Webster, and as Company Group Chairman, North America Pharmaceuticals from 2004 to 2007, which included responsibility for Ortho-McNeil Pharmaceuticals, Janssen, McNeil Pediatrics, and Scios. 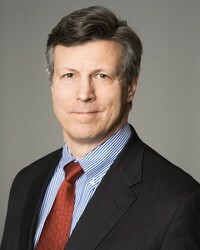 Prior to this position, He served as President of Ortho-McNeil Pharmaceuticals from 2000 to 2004, with his operating responsibilities encompassing the commercialization of products in multiple therapeutic categories including epilepsy, migraine, analgesic, anti-infective, cardiovascular, neurologic, psychiatric and women's health areas. Mr. Fischer currently serves as a member of the board of directors for Agile Therapeutics, Inc., a public pharmaceutical company focused on women’s health. He also serves on the board of directors of Marinus Pharmaceuticals, Inc., a public biopharmaceutical company focused on epilepsy and neuropsychiatric disorders. From April 2013 to September 2013, Mr. Fischer served on the board of directors of Trius Therapeutics, Inc., a public pharmaceutical company, until it was acquired by Cubist Pharmaceuticals, now a wholly owned subsidiary of Merck & Co., Inc. Mr. Fischer holds a Bachelor of General Studies from Ohio University and served as a captain in the U.S. Air Force. Mr. Fischer brings extensive executive-level strategic and operational experience to our Board needed for strategic planning, product development, commercialization, and operations.